A multigenerational workforce in place and the organisation wanted to ensure that all demographics were being supported with their financial wellbeing in a relevant way. We were engaged to highlight our “No Surprises” philosophy of goal-based financial planning to employees. Our seminars were tailored to address the different life cycle challenges that their employees faced. The subjects ranged from building up mortgage deposits, understanding their insurance set up to planning for future events such as family education or even further away, retirement. The Seminars were focused on individual elements of an employee’s finances. However, the overall theme of our sessions was to teach employees how to arrive at future financial events fully prepared for them. Our philosophy of “No Surprises” teaches employees how to avoid financial stress through targeted and active financial planning. We focused on making their income more efficient today through tax planning and budgeting. We then looked to identify their future financial goals and showed employees of all ages how to work towards achieving those goals. Employees as always were full of questions which is a key goal for our Seminars! Employee feedback was overwhelmingly positive! Individual clinics were booked out by employees within 5 minutes of the presentation finishing. Employees tend not to ask personal questions in a room of their colleagues so our individual clinics are always a popular solution.Demand for individual meetings was so high that we provided MetLife with an additional two days of clinics to meet their needs. Kieran is very skilled at simplifying complicated personal financial topics into easy to understand concepts. Kieran shared clear, practical steps that could be immediately applied to improve personal financial wellness and also provided clear advice on how to plan for short, medium- and long-term financial wellness in an achievable way by making some simple changes together with establishing longer-term goals. 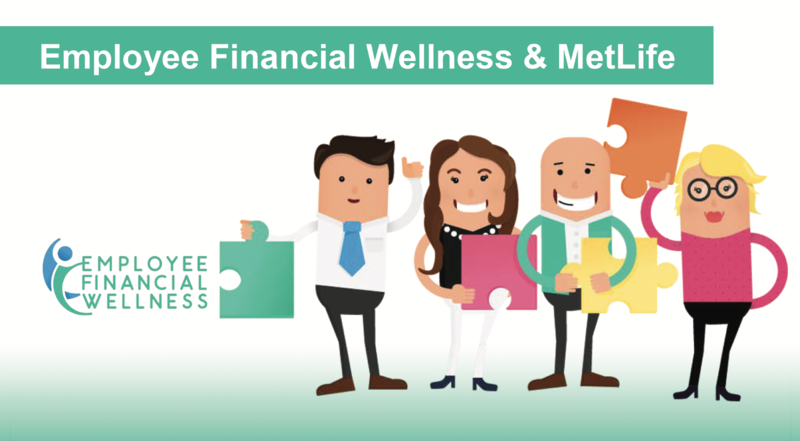 Kieran was very approachable and realistic and participants in the workshops felt much more confident about ownership of their financial wellness following the workshop and individual sessions. The seminar/clinics are very informative. It has made me think about the future more and also how to deal with my current financial state re spending etc. I look forward to detailed discussions around potential investment opportunities. An extremely insightful presentation that allowed me to make sure that I was taking the right steps and future avenues to go down. Extremely worthwhile.